Great news people of Birmingham! 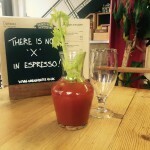 We are launching ‘Bottomless Brunches’ at Church St this weekend! Available every Sat & Sun you will be able to get a brunch dish and unlimited Bloody Mary’s or Bucks Fizz for £22.50 per person. You have two hours to enjoy your deal and we recommend booking a table! 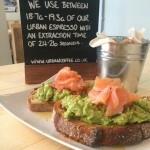 Email us churchst@urbancoffee.co.uk. We’ll have all the classics, from Eggs Benedict to Avocado Smash so start or end your weekend right with us!